Unfortunately at the moment we're in the middle of dismantlingthe wiring to try and cure the dreaded servo twitch problem. Excellent work, Kirky. Loved the night time shots. 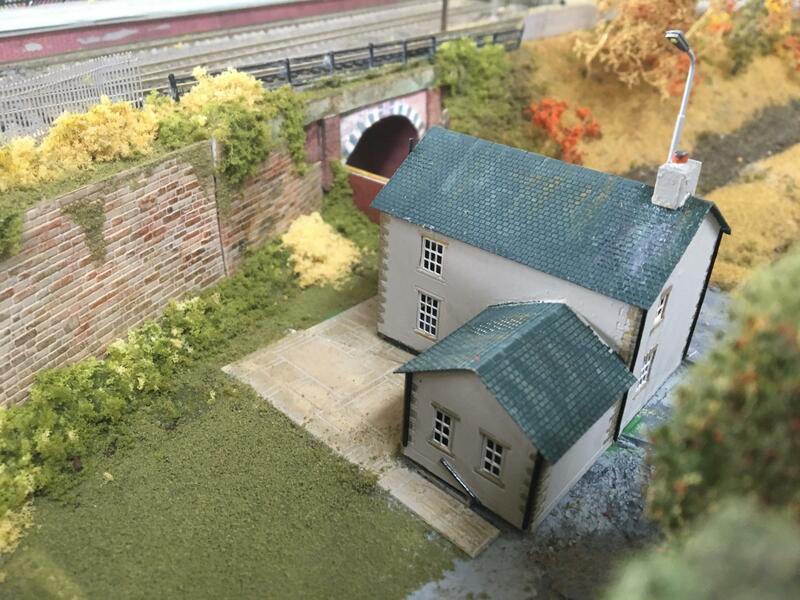 Cracking photo's and superb modelling - Very impressed! Is this any use? Taken from MERG's downloadable book. cases by soldering a 10k resistor between the servo's signal wire and the +5V supply line. In some cases, it only effective if wired across the signal line and the 0V line. Configuration of the control electronics can also minimise this effect. high frequency spikes on the signal wire. servo controller could be organised to stop sending pulses after a few seconds. Its not actually of use, but very kind of you to point it out. I am a Merg member and have followed very carefully discussions on chatter and twitching. We are using Merg's Servo4 boards to operate the servos. It is well known that interference can cause twitching. There have been extensive discussions on RMWeb. Essentially we have put our issues down to bad wiring. We have used some very dodgy techniques in order to cut corners, and learned to our cost that a bit of planning would have saved us a lot of work. I love the picture of the level crossing and the bridge. I passed my driving test in Northallerton and, in those days, (1963) that was the main road into Northallerton from Leeming Bar. The traffic lights under the bridge were the only traffic lights in the town, so couldn't be used for the test and the hill start must have been on a 1 in 200, so it was a good place to take the test. Many many thanks for that. We really love it when we get people telling us their stories of Northallerton. 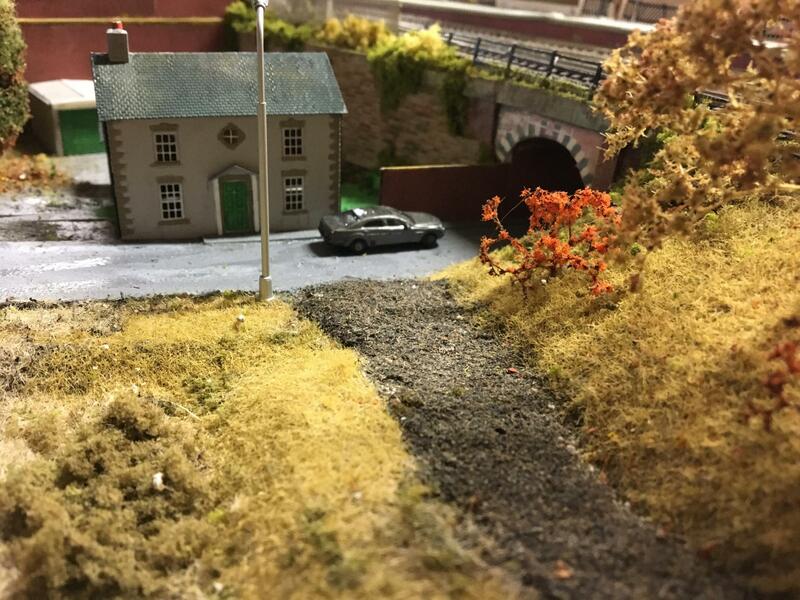 At our last open day we had someone who said he used to have one of the allotments which was great, and he said he remembered lots of features of the railway from times gone by. In 1963 (the year of my birth incidently) the dairy was rail served and we have some lovely shots of this from the air. Interestingly it was rail served from the upper mainline rather than the lower avoiding lines. Sadly the dairy is no longer there. They knocked it down about five years ago. I believe it has houses on that site now. 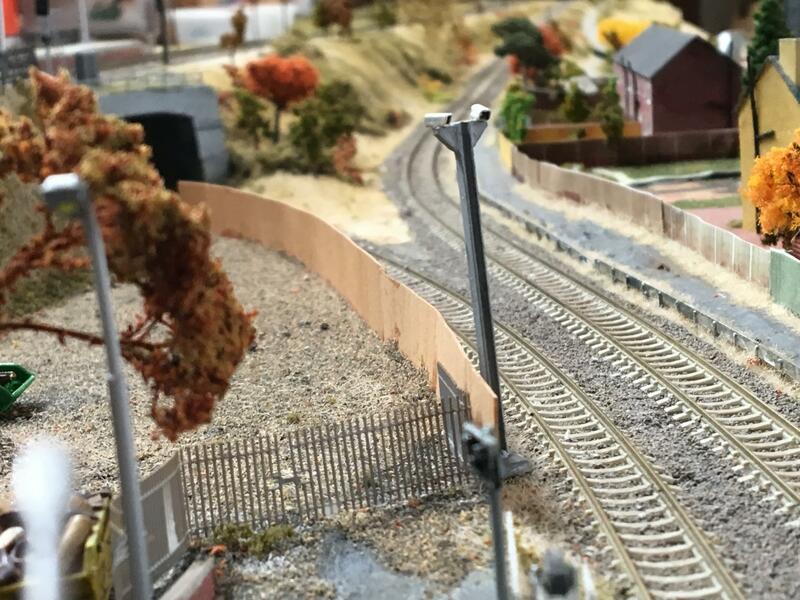 A little bit of an update by way of a few pictures of things we have been doing on Northallerton, ready for our next outing, which is on October 7th/8th at Shildon, at the National Railway Museum. I believe entry is free! We've done a few electrical things and finally sorted the dreaded servo twitch. Not much to see there though. 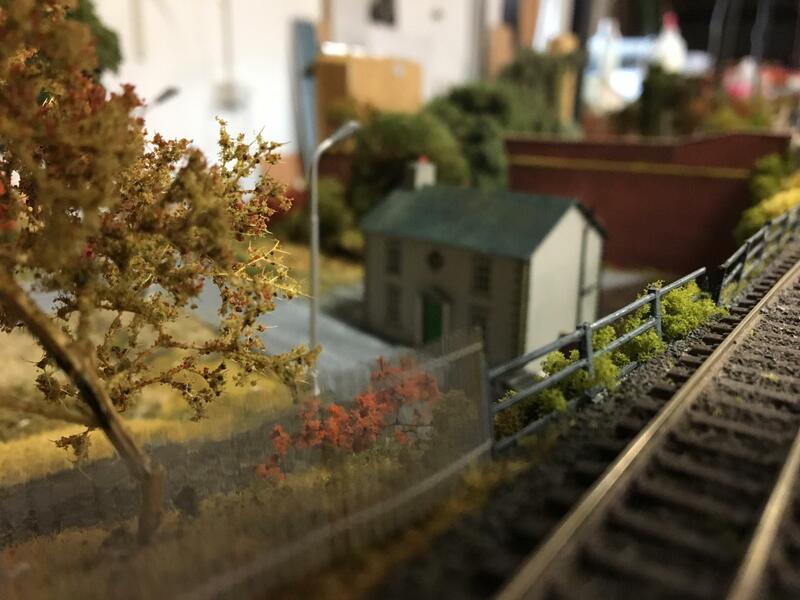 On the scenic side we've added a couple of CCTV cameras for the level crossings. You can have a look in the gallery for a couple more pictures showing how I made the cameras. 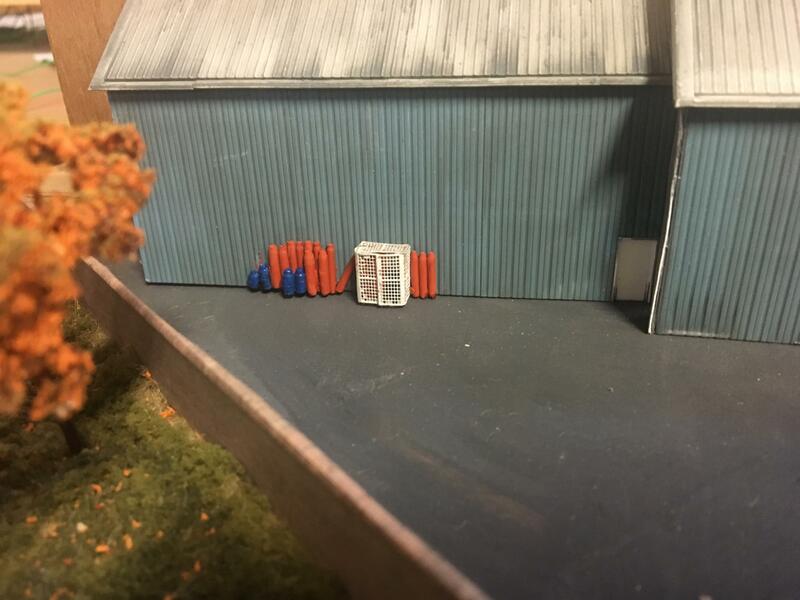 We also added some gas bottles to one of the factories at the back of the layout. 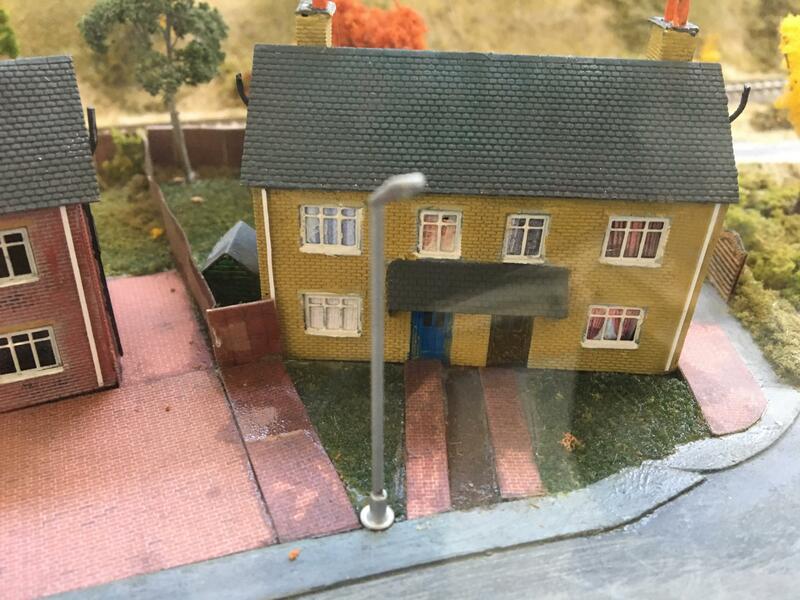 You can see in the picture that the building is not yet fixed to the layout - the giveaway being the dreaded gap at the bottom. 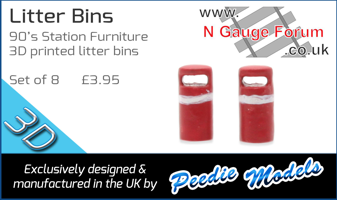 Gas bottles and cage are from the excellent Peedie models. 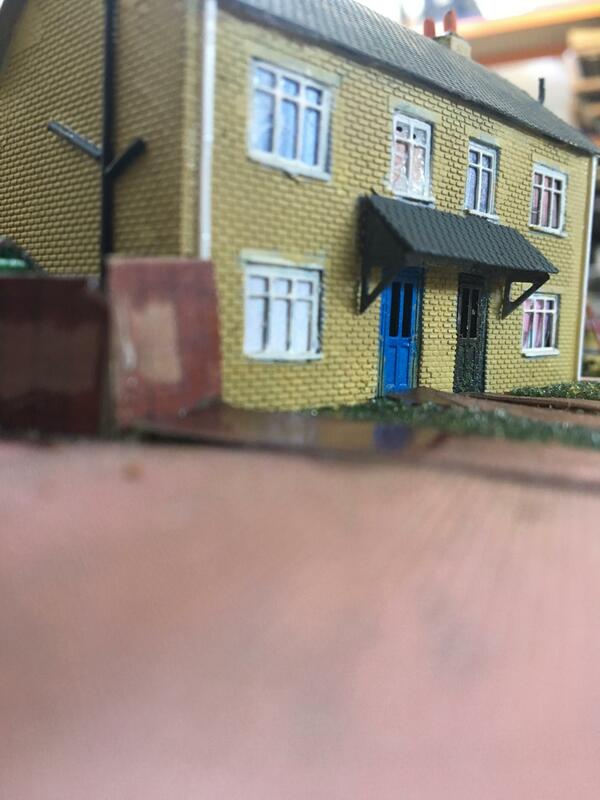 We tarted up the houses by adding downpipes and giving tehm a little extra paint. 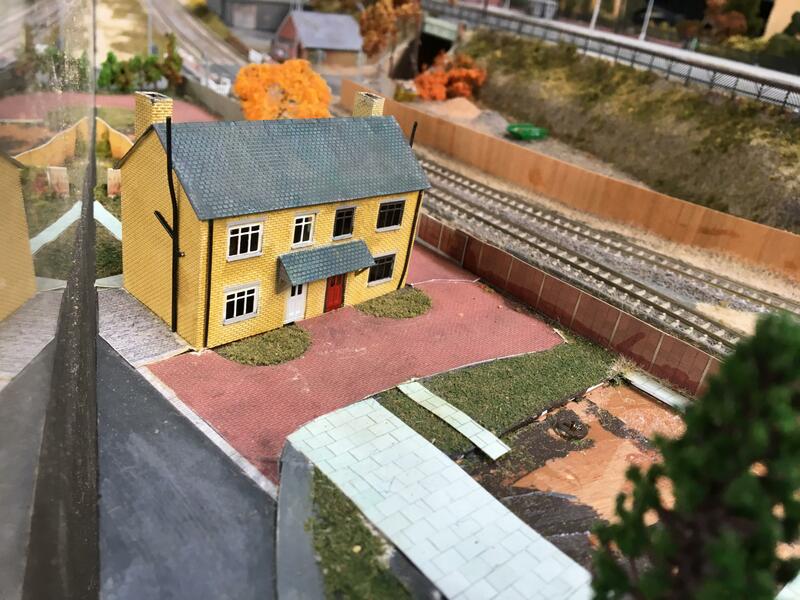 And we finally got round to filling in a gap at the back of the layout. Mainly this is unseen by the viewing public but we decided we wanted it to be nice for the operators to view too. 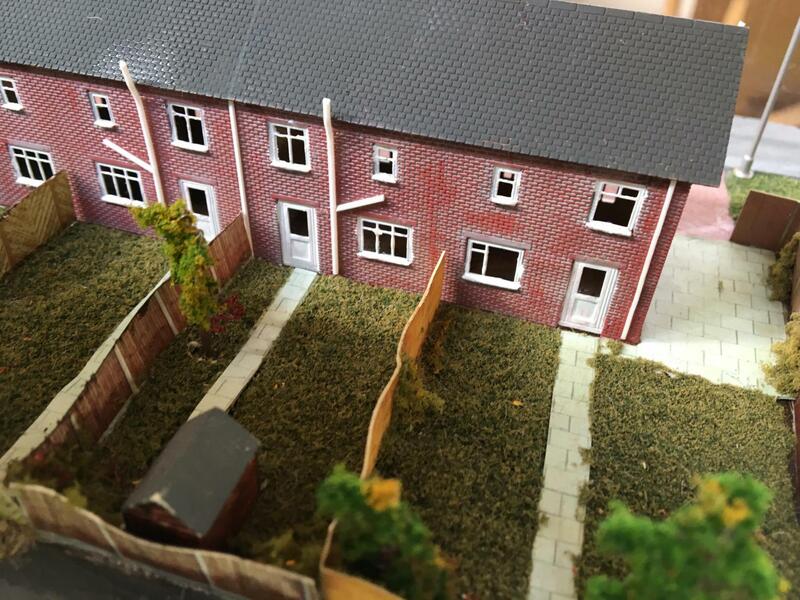 That is one of a range of houses from the very excellent Severn Models, as are the other houses shown here. Not too far away from finishing now. Just some major electrics to do - electrifying the fiddle yard points and a couple more scenic items and we are done. All looks fantastic. Have a great time at the show. Way too far North for me . Agree with Weave. Looks really good. Shame it's too far for me to travel as well. 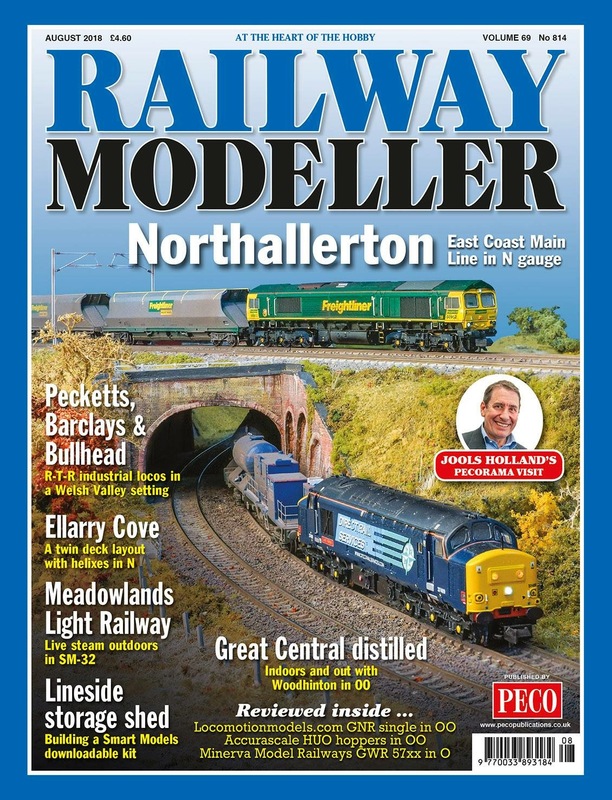 Sorry, I forgot to mention that you can see Northallerton operating at our next Open Day on 23rd September, 10-4, £1 for one days membership. 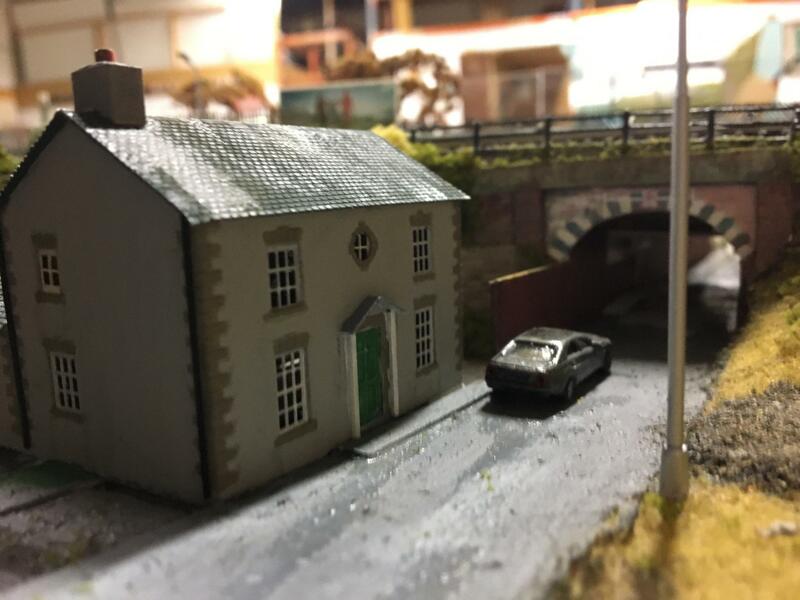 Cleveland Model Railway Club, beehive centre, Skelton, Cleveland. Come and have a little play if you like. Funny you should say that. We've been experimenting...I'm not convinced we have this right yet. Not the best pictures but I think you get the idea. 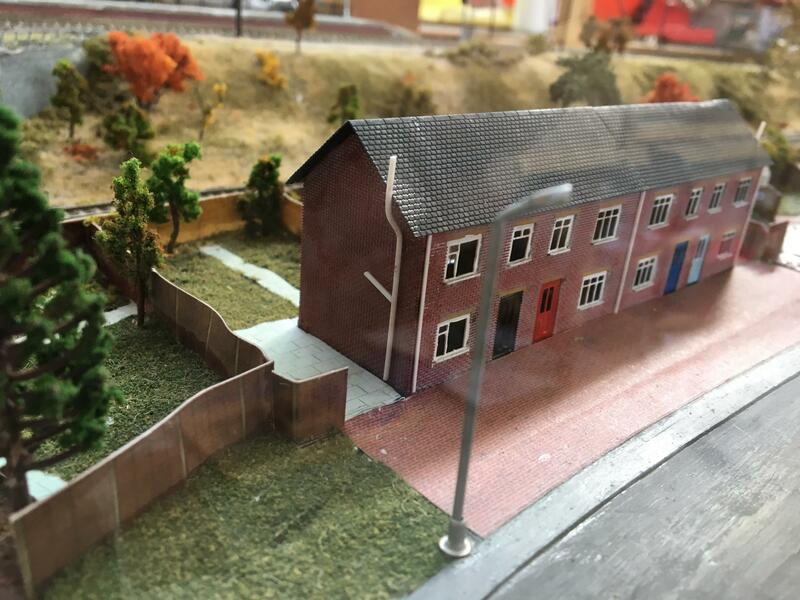 Just to say Northallerton is appearing at The Shildon Model Railway Exhibition today and tomorrow, at the National Railway Museum in SHILDON. We are located in between the APT. Page created in 0.207 seconds with 44 queries.